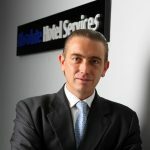 Jonathan Wigley, CEO of Absolute Hotel Services Group, announced today the group’s latest addition to its portfolio, U Samui. 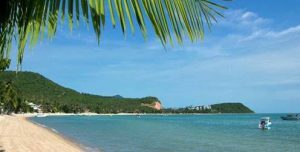 The hotel is the first U Hotels & Resorts branded property on the Samui island and is expected to be opened in late 2020. Absolute Hotel Services Group has signed a management agreement with The Culture Company Limited to open U Samui in Thailand in 2020. The hotel willconsist of 49 rooms and villas featuring Deluxe Seaview, Deluxe Seaview Pool Garden, Sky Suite Seaview, Seaview Pool Villa and Beachfront Pool Villa rooms. Every unit will feature a sea view and first-class facilities for the ultimate convenience and comfort of U Samui’s guests. The hotel’s services include a signature restaurant and pool beach bar, a large swimming pool, a fully equipped high-tech gym with available yoga classes, a garden and a spa. The hotel is just 15 minutes from Samui International Airport and Samui’s most famous attractions.